Welcome to the First Birthday Bash celebration! I will be featuring excellent gift ideas for brand new toddlers all week, in honor of Darah turning 1! One of the things I have been wanting to do for a (DIY) birthday photo shoot with Darah is to have her in a tutu. But not just any old tutu. I needed to find one that was extra adorable (because “adorable” is already standard for a tutu). And of course, the perfect tutu for my little one year old (almost!) has presented itself. I can hardly stand how cute it is! Look at the precious petals and leaves! And I’m so pleased to report that Darah has a blast playing with this tutu, most likely because there are fun things inside to touch and move around. To have Darah in such a playful mood when she wears this helps the odds of snapping some cute photos go up by about 1,000%! So where did I find this fetching fru fru must-have? I’m glad you asked! You can snag one for your own itty bitty ballerina at My Baby Clothes Boutique. In my opinion, My Baby Clothes Boutique is one of the very best places on the web to find outfits that are perfect for special occasions and photo shoots, but that are still comfortable enough that your baby won’t cry when wearing them because they are uncomfortable. They have done a great job of finding really adorable pieces your baby will actually wear! Additionally, you probably already know that “special occasion” clothing for babies and toddlers can be outrageously expensive. I think the prices at My Baby Clothes Boutique are much easier to stomach than at most places, and that goes right along with the mission statement from their site, “At MyBabyClothesBoutique.com we strive to bring you the most fashion forward and trendy baby clothes on the web, all at a Guaranteed Lowest Price!” So you can shop with confidence knowing that you’ll be hard-pressed to find anything cuter, and you definitely won’t find it any cheaper! Buy it! : The tutu featured in this post is currently on sale for $25.20, which is a fantastic price for something so beautiful. Be sure to check out the rest of their extensive sale selection. You don’t want to forget those beautiful baby headbands to complete the tutu outfit. The baby shoes are to die for. Like these adorable sandals are marked down to $10! Or these ballerina slippers. Win it! : My Baby Clothes Boutique wants to give one lucky Stuff Parents Need Reader a $25 gift certificate, good toward any purchase on their site! Yay! The contest will run until August 11th at 7:59pm CST when a winner will be selected using Random.org. The winner will have 48 hours to respond to the winning email notification before the prize is forfeited and a new winner is drawn. Limit one entrant per household, please. Open to residents of the United States. Mandatory entry: Tell me your favorite item from the list of baby clothes best sellers! 7. If you have a current blog (you have written a post in the last 3 months) add my button and leave a url so I can see it. Disclosure: I received a complimentary product for review purposes. The opinions expressed here are strictly my own. My fave is the Pretty Pink Bunny A-Line Top and Leggings Set. So cute! I love the red sun hat with white dots! I like My Baby Clothes Boutique on Facebook. I signed up for My Baby Clothes Boutique e-newsletter. I subscribe to My Baby Clothes Boutique blog. I like Stuff Parents Need on Facebook. My favorite item is the Everywhere a Neigh Neigh Horsie Shortall Set. It's so adorable. Subscribed to the My Baby Clothes Boutique blog. eieio-little-shortall it is the cutest thing. I love the "Sweet Dreamzzz" A Pint of PJ's Sleep-Time Gift Set in Strawberry! I LOVE the waggles coat – so cute! 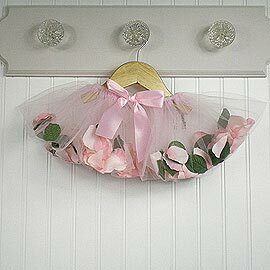 I like the Pale Pink Velvet Flower Headband – it would be perfect with that tutu! rose organza spring dress ty. my favorite item is the raspberry sun hat i love big flowers on hats and its so adorable! the purple baby buds tutua dress would be perfect for aylas dance classes! too cute! I now follow you via Google Fiend Connect! Thanks. I subscribe to their e-newsletter. I subscribe to My Baby Clothes blog. I love the Sugar Skull Dress. It's a fun update on a classic ruffle dress. I love the "Sweet Dreamzzz" A Pint of PJ's Sleep-Time Gift Set in Chocolate. I love love love the Racing Bear By Baby Bol! I like the EIEIO Little Cow Shortall Set. I love absolutely everything! So hard to choose… but the Baby Buds ballet slippers are adorable… and the Perfectly Princess leg warmers! I now have a wish list for my little girl (who is due out in November) just in this store! Thank you for the entry! I love the Personalized Hot Pink Little Sprout Tab Dress! i am a fan of stuff parents need on fb! i am a google friend connect of stuff parents need! i get the baby boutique e newsletter! i am a my baby boutique fan on fb! I love the White and Lavender Tutu and Hat Gift Set, so so cute! spots hooded jacket is adorable! I like SPN on FB. I follow SPN by email. I like the Flower Power Jeans. Purple Baby Buds Tutu Dress is one of my favorites. I subscribed to their email. Love that A Winged Rock Star Dress Pink by OohLaLaMama. Makes me wish I was having another girl! EIEIO Little Cow Shortall Set by Mud Pie all the way for my baby! Oh, it is really hard to choose betwwen the Rose Embroidered Organza Spring Dress and the Brown and Pink Polka Dot Crochet Hat! I LOVE them both!!! I like the Tiny Dancer Princess Romper. I like the Big Dreamzzz" Baby Ballerina Two-Piece Layette Set in Gift Box. I like the pretty ballerina tutu dress! I love the Personalized Hot Pink Little Sprout Tab Dress. Little Chick Ruffle Sleeper would be my choice. I love it! Personalized Pretty Ballerina Tutu Dress is my favorite but I LOVE everything! I would take one of everything. My favorite item is the summer sorbets spearmint tutu set! I like my baby clothes boutique on facebook! I love the Henley Romper in Tangerine since I have a boy! 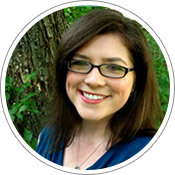 I follow your blog through GFC. I signed up for MBCB's newsletter. I subscribed to MBCB's blog. I like MBCB on FB. I love the Birthday Cutie 3 piece set! I follow Stuff Parents Need on Twitter. I like "Stuff Parents Need" on facebook. I love the boy's golf bubble outfit! Love bubble outfits on babies! I follow you with Google Connect. I think the EIEIO Little Cow Shortall Set is just adorable! The Perfectly Princess TuTu Tunic & Leggings Set is something my daughter would choose to wear everyday! My favorite item is the Personalized Pretty Ballerina Tutu Dress! The rose-embroidered organza spring dress takes my breath away!